The breathlessly-awaited series finale of the television show Mad Men aired this week, and the web has been teeming with recaps and commentary, especially on the significance of the show’s enigmatic final moments. (Warning: spoilers ahead). 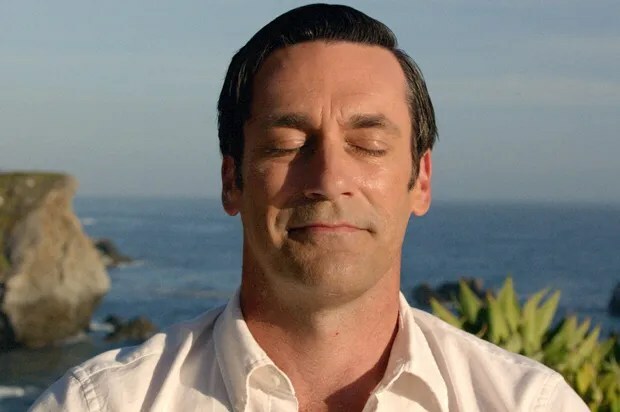 There are many ways to read this rather brilliant and ambiguous moment — is it a sign that Don has truly found some inner peace, or that he has at last “found a way to accept love and managed to channel it into his work”? Or is it dark confirmation that he is, and always has been, an ad man through and through? Is it a cynical condemnation of advertising itself, and by extension, capitalism? Does it signal the true death of the 1960s, the final absorption and co-opting of its hippie idealism, and the ominous beginning of the “Me Decade” of the 1970s? Although it’s probably unlikely, I’d like to think the conclusion may also have been the show’s final, playful nod to Frank O’Hara, whose work Don was captivated by in some much-discussed scenes in season 2, and who served as an important influence on the show’s sensibility. 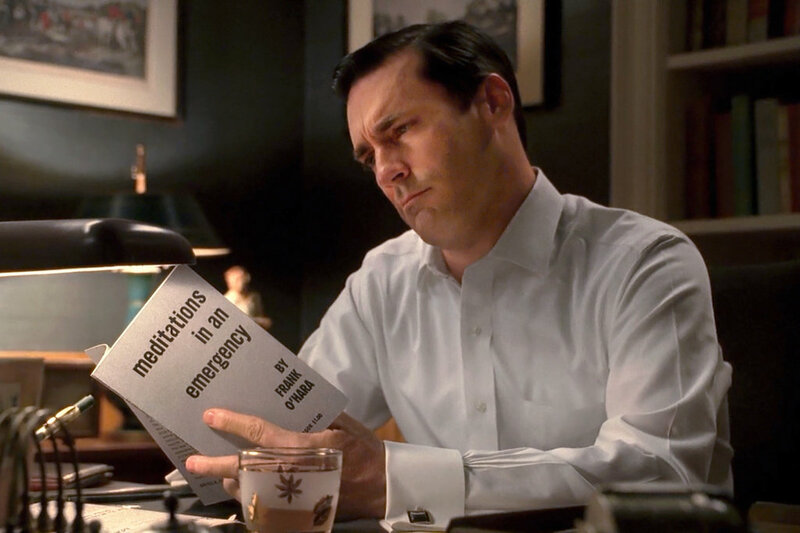 (I’ve discussed the Mad Men-Frank O’Hara connection before on a number of occasions, including here and here). This is especially apparent in O’Hara’s 1960 poem “Having a Coke with You,” a poem that has lately become one of his most beloved and circulated poems. The poem even seems to neatly echo, or preview, Don’s final revelation about the pleasures, even the interpersonal connection, promised by Coke, though perhaps without the ironic commentary on consumerism and advertising. The show’s creator, Matthew Weiner, has said that coming upon O’Hara’s work during the course of the show’s run was “a magic occurrence.” So maybe it’s not a stretch to think that Weiner also had O’Hara, among other things, in mind when writing the show’s sure-to-be-famous final scene as well. This entry was posted in Frank O'Hara, Mad Men, NY School Influence, Television. Bookmark the permalink.